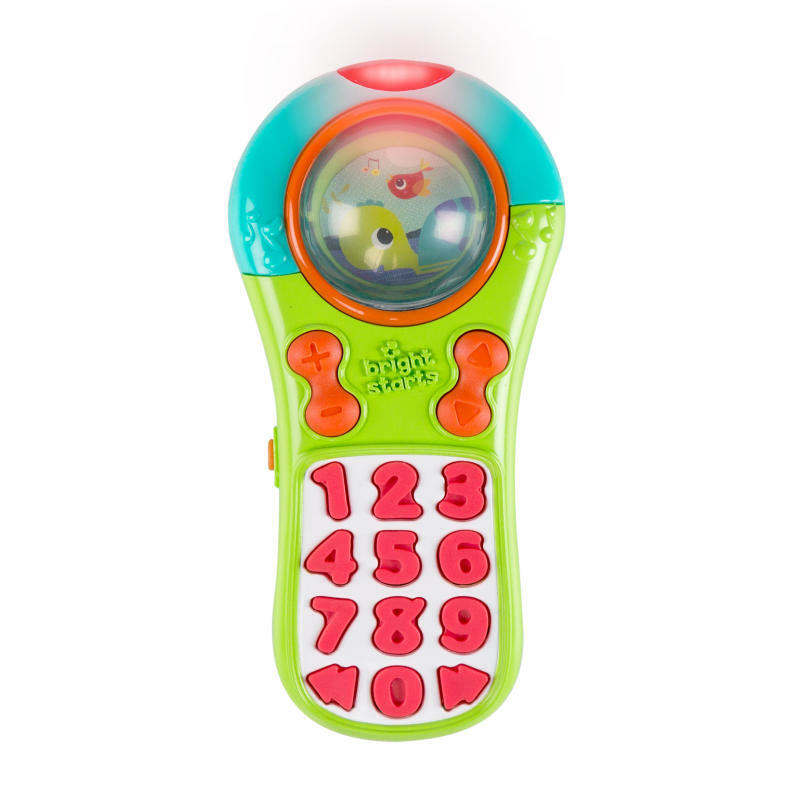 Click & Giggle Remote Toy is rated 3.7 out of 5 by 3. Rated 4 out of 5 by Mary1234 from My baby loves it but its kind of heavy for him right now. Rated 4 out of 5 by Mary1234 from My baby loves it but its My baby loves it but its kind of heavy for him right now. Rated 3 out of 5 by ConcernedMama from A change needs to be made Babies who are around 6-9 months of age are normally teething and if they are anything like my son, everything goes in his mouth. My son loves this toy but I recently noticed that he has been scraping the paint off around the number pad with his teeth. Knowing that there are other children out there like my son that just put everything in their mouths, maybe this product should not have paint on it. I'm just happy I noticed it early on and my son was not harmed.